DALLAS — Exxon Mobil Corp. is squaring off against government investigators who believe the energy giant covered up knowledge of how fossil fuels contribute to climate change. Exxon went to state court this week in Texas to quash a subpoena issued last month by the V.I. 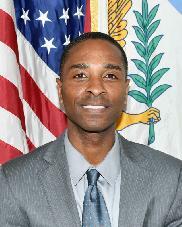 Attorney General Claude Walker. Two weeks ago, Walker and his counterpart from Massachusetts announced they would join New York Attorney General Eric Schneiderman’s investigation into whether Exxon misled investors and the public about the threat of climate change. Walker’s office sent subpoenas to Exxon and a pro-fossil fuel think tank. Exxon called the investigation an effort to silence the company in the public debate about climate change. It said the Virgin Islands official wants to go through decades of company documents in hopes of finding ammunition for his position in the debate. Exxon, which is based in Irving, Texas, filed a petition against the subpoena Wednesday n state district court in nearby Fort Worth. It named Walker and a Washington lawyer and law firm helping Walker as defendants. Meanwhile, the Competitive Enterprise Institute, a public policy think tank, will oppose a subpoena that demands documents related to its research on climate change and donor information, officials of the institute said in a Tuesday afternoon phone call. “We’ve been targeted for our ideas,” Kent Lassman, the new president and CEO of the Competitive Enterprise Institute, said Tuesday. “Walker is part of a network of state ‘AGs United for Clean Power’ who have formed a grand inquisition to go after those they claim have lied about climate change—which is a contentious and unproven scientific theory,” Hans von Spakovsky, a senior legal fellow at The Heritage Foundation, wrote in an op-ed inThe Daily Signal. Attorneys general of 20 states have launched an effort to investigate and prosecute organizations that have attempted to combat global warming, EcoWatch reported last month. The subpoena in discussion, issued outside Walker’s jurisdiction by the Superior Court of the District of Columbia, seeks documents that date from 1997 to the end of 2006, according to the Competitive Enterprise Institute. These efforts to defund us and other free market groups that have unpolitically correct views on climate and some other major issues[.] … We’ve been dealing with this for a long time, but I think we have now reached another level. When you get attorney general involved, it’s no longer just a debate in the public base that try to shut us up, but it’s using the full force of the state to do so. We’re taking this very seriously.